Calling all Roy Croppers, Rachel Coopers, Sam Evans and anyone else with the initials RC & SE of the world! At Wilsons Auctions Mallusk, we have a very special opportunity for you to purchase 4 dateless cherished number plates at auction and with no reserve! To give you an idea of the value of a similar numberplate, 1 RC is currently on the market for a whopping £185,200 so this really could be a fantastic opportunity to get these plates at a great price! To register your interest for the auction please fill in the online form or for more information on the number plates please call us on 028 9034 2626. 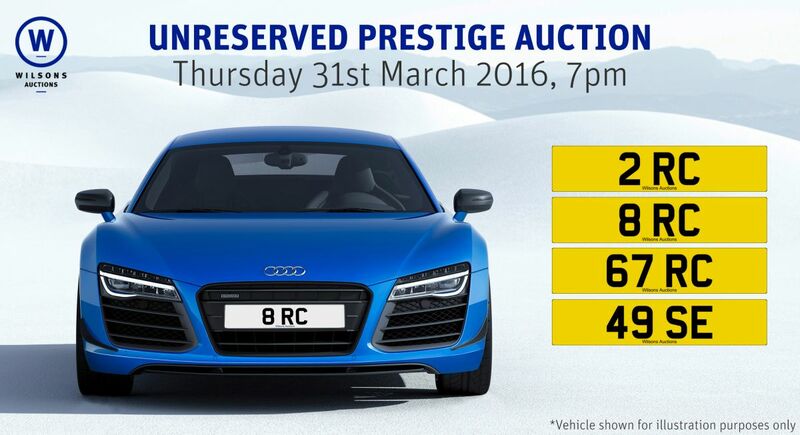 The auction will be taking place on 31st March at 7pm and online bidding is available. To register for online bidding you will need to call our office on 028 9034 2626 to be set up with an account and to receive a username and password.